ASCO DRINK MACHINES. Beverage Dispenser FRUCTOMAT. Cooling only the needed quantity, easy service and thus reduced personnel needs, according to a university study, reduction of nearly 21t CO2-emissions per year possible! 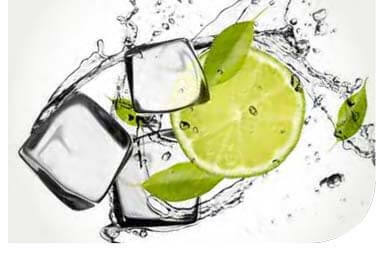 By mixing the concentrate and fresh water at a 1+4 to 1+49 ratio, the drink capacity with a small machine size are enormously high!The patented MidMix-System allows unique and elegant designs, homogenous drinks and a fast and very clean dispense - a result that impresses! Our FRUCTOMAT dispensers offer flexibility at all levels, 100% fruit juice, nectar, fruit juice drinks, soft drinks, sports drinks, with or without CO2, hot or cold - a perfect mix dispensed very cleanly from a compact machine. ASCO staff is engaged and always fair to our customers and suppliers. All workings are oriented to the marketneeds and the optimal customer’s benefit. We work effective and consider daily every movement to up to date and profitable processing. these main features in our developments and new products. ...and the best wishes on behalf of the whole ASCO team. Last week the official partnership with Coffee Care, a distributor from Cyprus, has started. We offer delivery in time - you can rely on us. Fairness and good relationship with our customers and our suppliers are of high importance to us - with the target of building long-term partnerships. Custom requests and requirements can be implemented in a flexible way - and we offer scope for design and flexibility also within our range, as we produce on order only. We are your professional partner for drink solution and can also offer accessories such as base cabinets, payment systems and much more.